The team at our Mandeville eye care center has helped preserve vision and restore vision quality to a number of patients over the years. 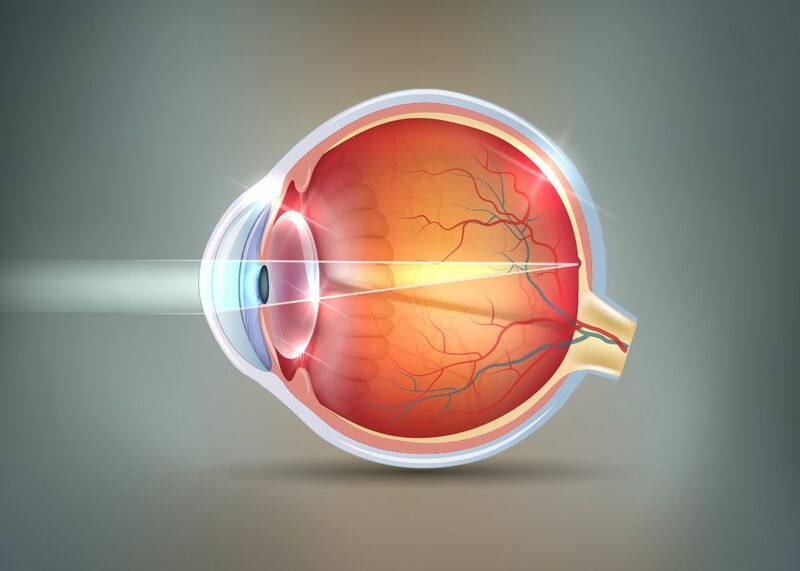 In some cases, we've been able to treat retinal detachment to prevent severe vision loss. Yet retinal detachment is just one of many retinal conditions. There are a number of problems that can affect the retinas and cause varying degrees of impaired vision. With this in mind, we'd like to take a moment right now to consider some basics about the retina and what conditions can impact a person's vision. Thankfully there are skilled eye care professionals who can treat these kinds of problems. Let's first explain the retina in basic terms. The retina is the light-sensitive layer of tissue located within the eye that contains photoreceptor cells known as rods and cones. The retina records light filtered through the cornea and lens of the eye, sending impulses through the optic nerve to the brain, which interprets these nerve impulses into images. Without the retina, proper vision is not possible. Retinal tears and detachment refer to cases in which the retina is peeled away from the back of the eye. When this happens, people often notice sudden flashes and floaters in their vision. If not addressed soon enough, retinal detachment and tears can causer permanent loss of vision. Treating retinal detachment and tears involves reattachment of the retina to its proper part of the eye. A number of surgical treatments may be considered to accomplish this. The macula is the central portion of the retina. Age-related macular degeneration refers to the loss of central vision that occurs in people of advanced age. There are two types of AMD, dry and wet. Dry AMD is most common, comprising an estimated 90 percent of AMD cases. In general, the best way to address AMD is to improve general health and wellness to slow down the rate of vision loss. This is often accomplished through the use of dietary supplements. Assistive devices can also be used to help improve a person's ability to see. A macular hole refers to a small break in the macula. This is typically the result of the vitreous humor within the eye shrinking with age, pulling part of the retina with it. This issue with the vitreous humor can also lead to retinal tears and retinal detachment in some cases. Consequently, treatments for retinal holes are similar to those used for retinal tears and detachment. Diabetic retinopathy is a complication associated with long-term diabetes that adversely affects the health of the eyes. It's the result of blood vessels in the retina becoming damaged, affecting general retinal health in the process. The condition occurs in up to 80 percent of people who've had diabetes for 20 years or more. Laser treatments can be used to address diabetic retinopathy should it occur. The best means of preventing this problem is proper management of diabetes. Retinitis pigmentosa is a type of genetic, degenerative eye disease that affects the rods of the retina. As the condition progresses, patients first lose their peripheral vision and night vision. Severe vision loss and even blindness is possible as the condition progresses. Management of retinitis pigmentosa typically involves use of dietary supplements to help slow down the rate of vision loss. There is no known cure for the condition, though research is ongoing. For more information about retinal conditions and how they can be properly addressed, be sure to contact our team of advanced eye care specialists today. Our vision specialists look forward to your visit.